Everyone wants to be a Pirate...And our Pirate Flags collection includes authentic and unique designs for young and old alike. 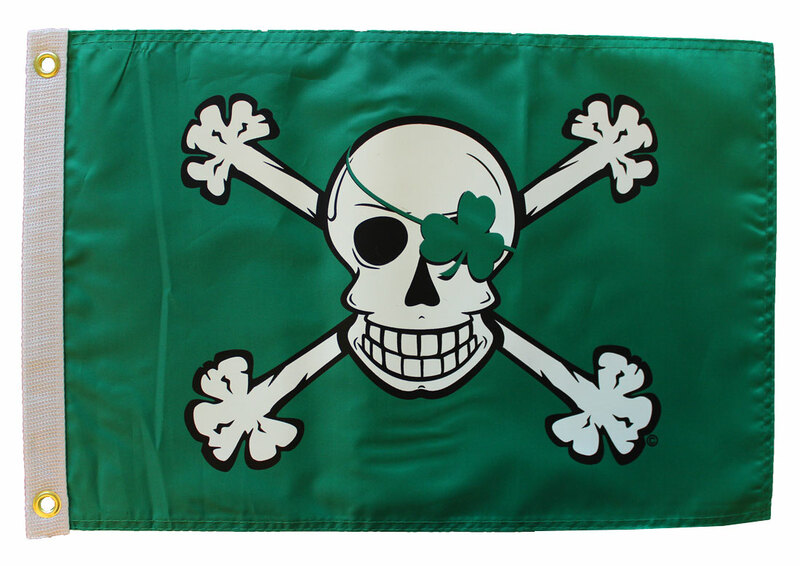 Blarney Bones 12"x18" flags are two sided and suitable for outdoor use. Manufactured by Flappin' Flags....Arrrghh Matey! !